Whether you live in the country or in a downtown apartment, you probably have squirrels living near you. Squirrels can live almost anywhere. There are 200 species of squirrels worldwide. They live in almost every country but Australia. 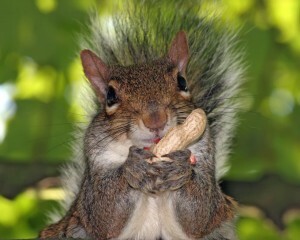 All about squirrels, they scamper to the ground to look for nuts or seeds. They also eat fruit and even eggs or baby birds. Tree squirrels build nests or live in holes in trees. They scamper to the ground to look for nuts or seeds. They also eat fruit and even eggs or baby birds. Ground squirrels live in burrows under the ground. Sometimes they hibernate. The smallest squirrel is the African pygmy squirrel. It is only 5 inches long. 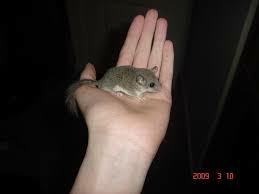 The smallest squirrel is the African pygmy squirrel. It is only 5 inches long, including its tail. The largest squirrel is the Indian giant squirrel, which grows 3 feet long. That’s as big as your little brother! Squirrels’ sharp teeth never stop growing. 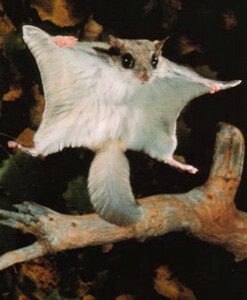 Flying squirrels have a flap of skin between their front and back legs. This skin helps them glide in the air between tree branches. Squirrels have litters of three to nine babies. The babies are blind. They stay in a burrow or nest until they are three months old. 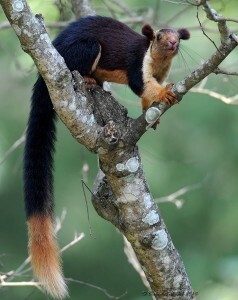 The largest squirrel is the Indian giant squirrel, which grows 3 feet long. An investigatory video all about squirrels and how they retrieve their stash of nuts. Question: Can squirrels be kept as pets? Answer: Squirrels aren’t kept as pets. They do come up to people at parks for food. Answer: No, but they are wild animals. They will bite or scratch if frightened. Some carry diseases. Enjoyed the Easy Science for Kids Website all about Squirrels info? Take the FREE & fun Squirrels quiz and download FREE Squirrels worksheet for kids. For lengthy info click here. Declan, Tobin. " Fun Squirrel Facts for Kids ." Easy Science for Kids, Apr 2019. Web. 21 Apr 2019. < https://easyscienceforkids.com/all-about-squirrels/ >.